Having said goodbye to The Vdara, our taxi dropped us off at McCarron International Airport’s dedicated “Car Rental Plaza” i.e. a big building with every possible car-hire company you could think of inside. Our vehicle was being hired through National, so it was to their desk that we headed. After a few minutes signing paperwork and flashing credit cards we were pointed up the stairs to the attached multi-story car park. It seemed the car I’d selected was not available so we got a free upgrade to something bigger, which was nice. The attendant just pointed to a row of cars and said to take our pick. We briefly swithered between two before going for a Hyundai Sonata. I clearly have a soft spot for Hyundai having just bought one of my own in March. This one was a bit bigger than mine, and it was also an automatic! After working out how to take the handbrake off and then how to move the car from Park into Reverse, Drive etc (you put your foot on the brake) we were off. First lesson learned in the opening few yards was to give the left foot a holiday. In a manual the left foot does the clutch, the right, the brake and accelerator. In an automatic there is no clutch pedal so leave it all to the right. 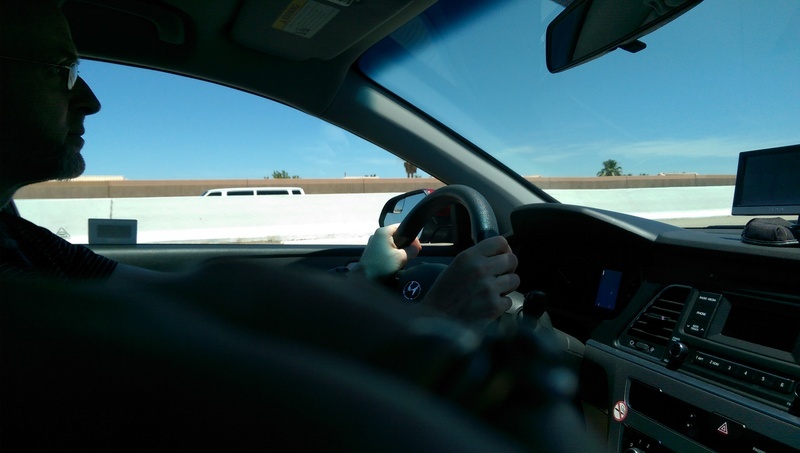 Have to admit there was slight trepidation about driving in the US (automatic and being on the other side of the road) but it wasn’t a big deal. You very quickly get used to both the car and the driving conditions. 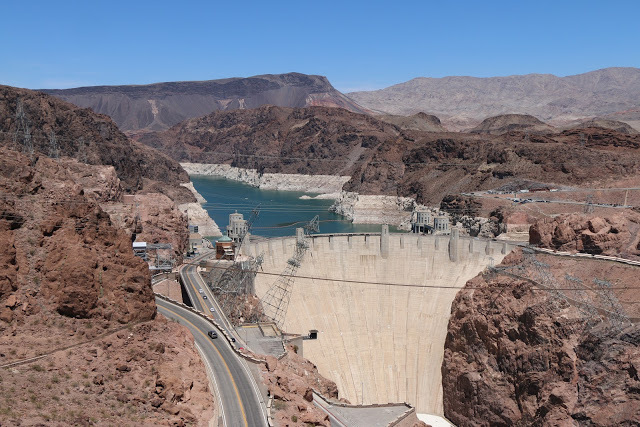 Having safely negotiated our way out of the car park, and then Las Vegas, we set the Sat Nav for Hoover Dam. 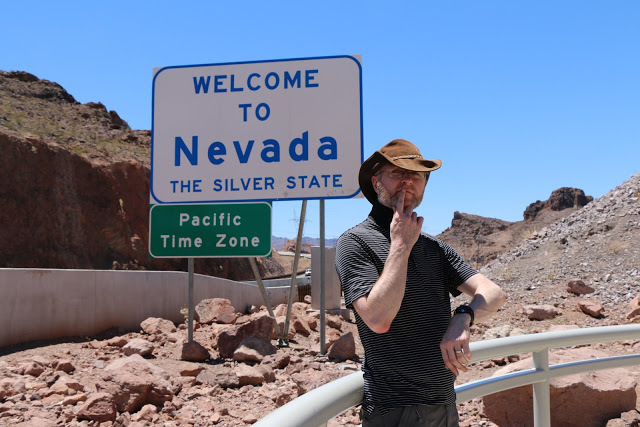 On leaving Las Vegas, we soon also left Nevada. To me this meant a change of time from Pacific to Mountain time. However, it turned out that even within Mountain time zones there is an hour difference. Think it had something to do with Navajo Indian areas – they remained in line with Pacific while the rest were forward an hour. We didn’t know this so spent most of the rest of the day an hour ahead! Hoover Dam was only 30 miles or so from Vegas, and due to the distance we had to cover to our next hotel, this was just going to be a quick stop. However, it was enough to get some stunning views from the bridge overlooking the dam. Soon we were back on the road and heading for Tusayan, which is the nearest place you can get to the Grand Canyon (without being inside the grounds of the park). The last 50 miles up to Tusayan was a long, straight road. We arrived at the Best Western at 7:30, or as it turned out 6:30! Temperature was cooler than Las Vegas, which was quite refreshing. Still 90+ but not 110+. Meal was had at the hotel’s restaurant. 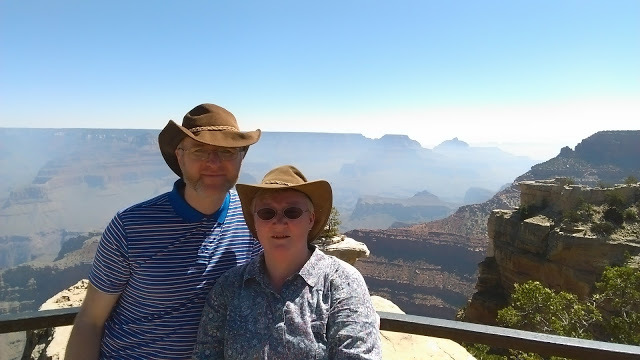 Also bought our pass for the Grand Canyon National Park at reception. After that it was time to chill out in our room. All in all a successful first day driving Stateside. Best way to get from Tusayan to the National Park is to get the “Purple Route” bus. This bus had a stop right outside the hotel, runs every 20 minutes and was free. It had the advantage of being able to take its own private road past cars queueing to get into the park. 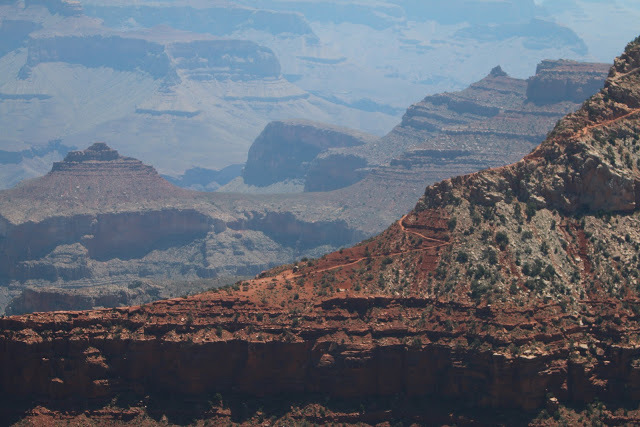 Highly recommended if visiting the Grand Canyon. Once in the Park we firstly got coffee and a bagel to quell our rumbling stomachs. 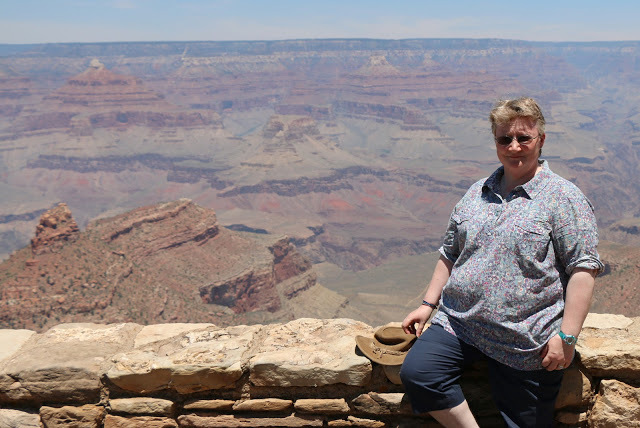 It was then onto the Southern Rim. 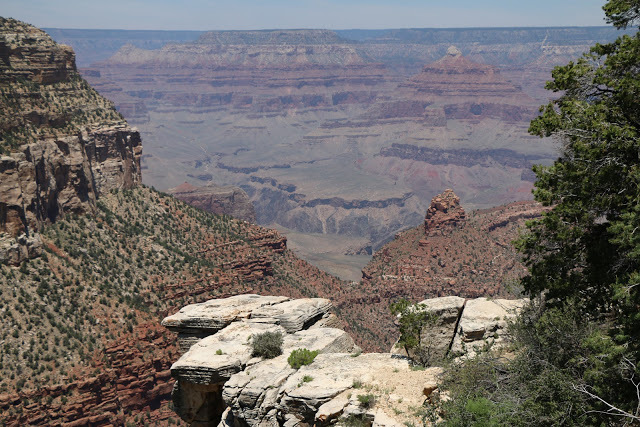 All you really do is walk along the rim and look out over the Canyon. Believe you me, that is more than enough to keep you occupied. Rather than me describing what we saw, here are some pictures instead. Yes, yes, we bought a selfie stick. Well, you have to for this sort of thing. Look, I don’t care what the signs say about feeding squirrels, just a few morsels, yes? And that’s a dollar for the photo mate. We stayed in the Park from 9:30 until about 1:30, and could easily have stared at the view for another few hours. Perhaps, next time. Tonight’s stop was roughly 160 miles away so after catching the bus back to Tusayan it was into our hire car and off to Holbrook. Holbrook was a small town in the middle of nowhere, but you really felt like you were in “off the beaten track” America. We were staying at a Travelodge which for £45 was just about the best value we had in the whole trip. Room was clean, reception staff very friendly and helpful, the pool open and empty and a complimentary hot breakfast awaited us in the morning. For our evening meal we indulged in some Pizza Hut. Wasn’t great but it filled us up. It was then time for lights out. Hot breakfast at the Holbrook Travelodge gave us our first experience of a pancake maker. All you had to do was push a button and 30 seconds later a perfectly formed pancake flopped onto your plate, and very nice they were too. After breakfast we checked out and made for the Petrified Forest. 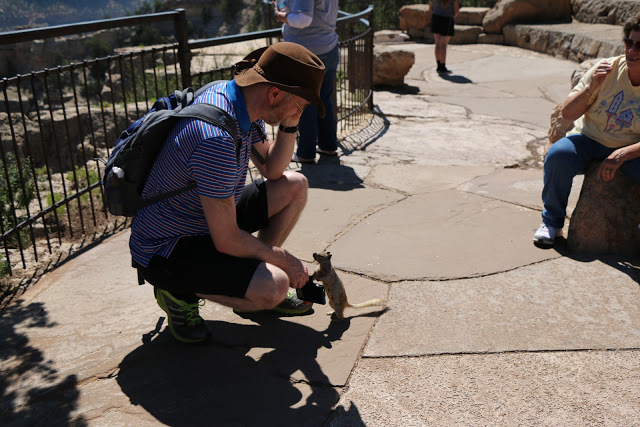 We had quite a long drive to Albuquerque so we didn’t plan on spending too long in the Forest, really just a couple of stops before hitting the interstate. A quick wander round a shop outside the park was followed by a longer interlude at the official tourist place inside the park. 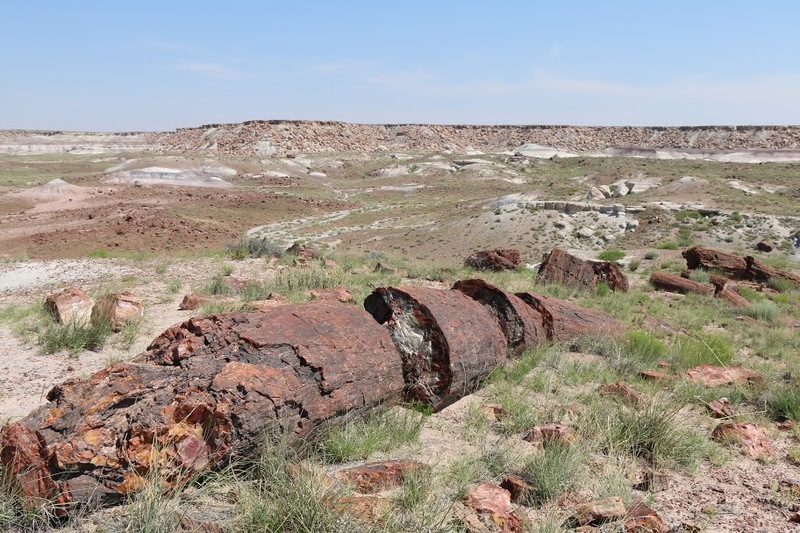 Here there was basically a loop around a relatively small area which gave you a good overview of what was meant by ‘Petrified’ – trees turned to stone. It was about a 20 mile drive through the park which, including stops, and took us just over an hour or so. 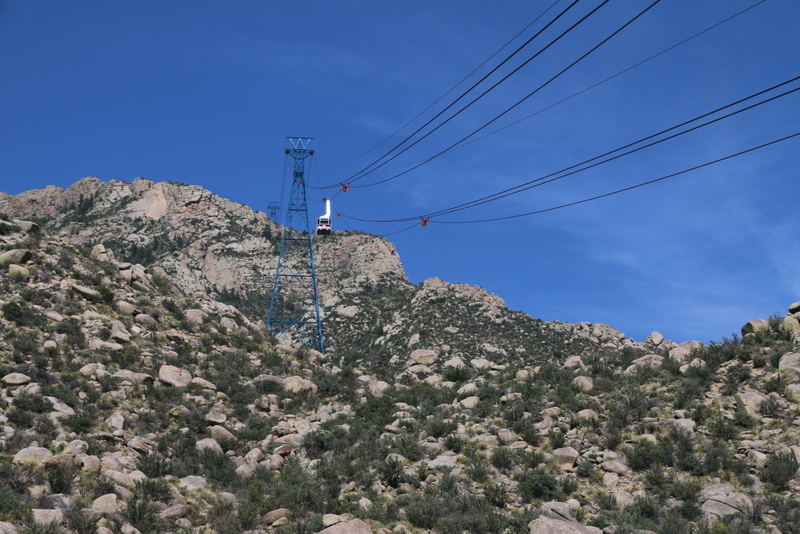 On reaching Albuquerque we headed straight for the Sandia Peak Tramway. The ride up was spectacular. The cabin seems tiny and you appear to be miles from the ground. If you’re scared of heights I wouldn’t recommend it. Once at the top there wasn’t much to do other than look at the views over all of Albuquerque. Again, we could have stayed longer, perhaps even eaten at the restaurant, but we wanted to get to our hotel so headed back down after 30 minutes or so. Our hotel was in the old part of town. It had a really nice pool, the room was very impressive, but star of the show was a tremendous Mexican restaurant. Probably fair to say the meal and service we had in here was amongst the best of our trip. Having checked out we had a walk into the hotel shop. What we found was a cracking selection of “Breaking Bad” goodies. I bought myself a t-shirt and very smart it looks to. Soon we were back on the road once more, this time heading into Texas and the city of Amarillo. It was about 3pm when we reached our next sleep over point. It was the first of two Holiday Inn Express & Suites in a row. 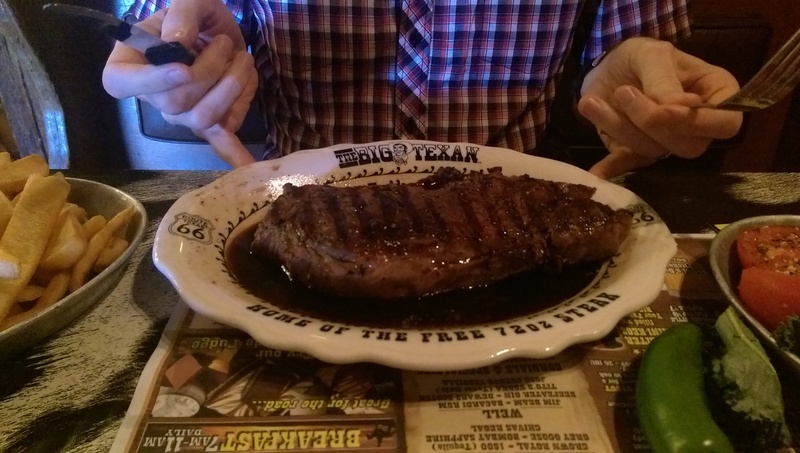 It had the added bonus of being only a few hundred yards from the world famous Big Texan Steak Ranch (well famous if you’ve watched Man v Food). This wasn’t the 72oz edition! In truth the Steak Ranch was a bit of a let down. Steak wasn’t brilliant and the decor and atmosphere was a bit naff, almost tacky. However, I’ve had worse meals and it certainly filled a hole. Back at the hotel we had a swim before Mrs C did a wash while I caught up on my blogging i.e. writing notes for this thing. Fairly uneventful day as we got one step closer to reaching Dallas. Another hot breakfast, but this time the pancake maker was broken! Not to worry, there was plenty of other bits and pieces to fill us up for the long drive ahead. Our last stop before Dallas was in a place called Denton, which was a suburb of the famous oil city. Our hotel was about 30 miles short of where we had to drop the hire car before noon the following day. Therefore it was close enough to allow us plenty of time if the local traffic was bad. Drive to Denton was over 300 miles and for 100 of those Deena took over at he helm. She did a good job, but at the first sign of something complicated ahead on the Sat Nav it was back to me behind the wheel! Weather in Texas was milder than where we’d been previously (maybe 95/96f) but more humid. 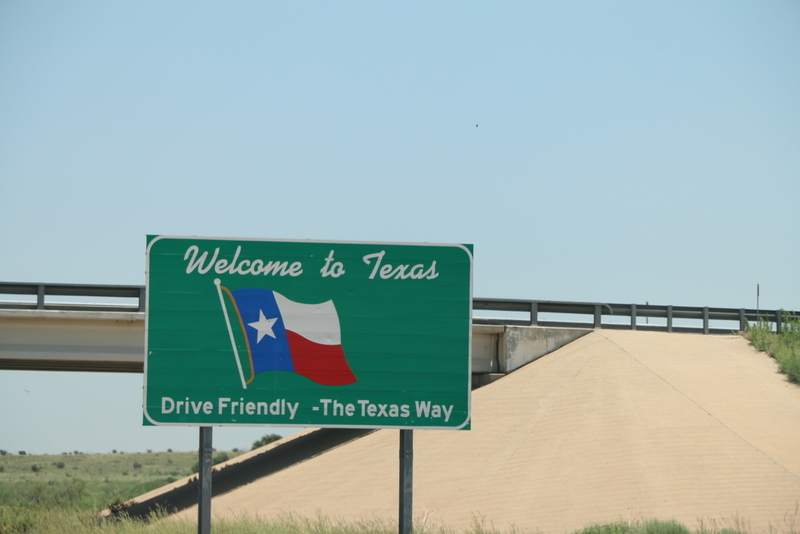 The drive from Amarillo to Denton was enjoyable and completed within four and a bit hours. 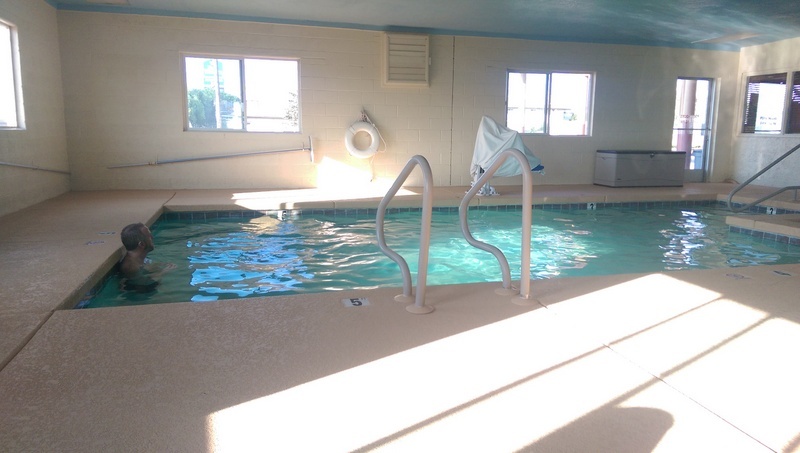 The second Holiday Inn Express & Suites was a better experience than the first. Everything just felt a bit more professional and cared for. For tea we headed out to a local retail park and partook of some delicious, freshly cooked Panda Express Chinese buffet food. Once back at the hotel it was soon time for lights out. The end of our road trip was in sight. This morning’s hot breakfast featured a working pancake maker! After loading food on board we checked out and made the short, 30 mile trip to Love Field Airport. Felt sad saying goodbye to our car. Fair to say we both really enjoyed having the freedom the car gave us. Next time we return to the States a hire car will feature heavily. Having dropped the car off we searched out a taxi to get us to the Hyatt Regency in downtown Dallas. More of that in the third and final part of our holiday blog. This entry was posted in Bits and Pieces and tagged Albuquerque, Amarillo, Arizona, Cable Car, Dallas, Denton, Grand Canyon, Hire Car, Holbrook, Hoover Dam, Las Vegas, Nevada, New Mexico, Petrified Forest, Sandia Peak Tramway, Steakhouse, Summer Holiday, Texas, Tusayan, Wedding on July 18, 2015 by paulmclem. All booked and planned several months ago, the time had finally come to head to the airport. 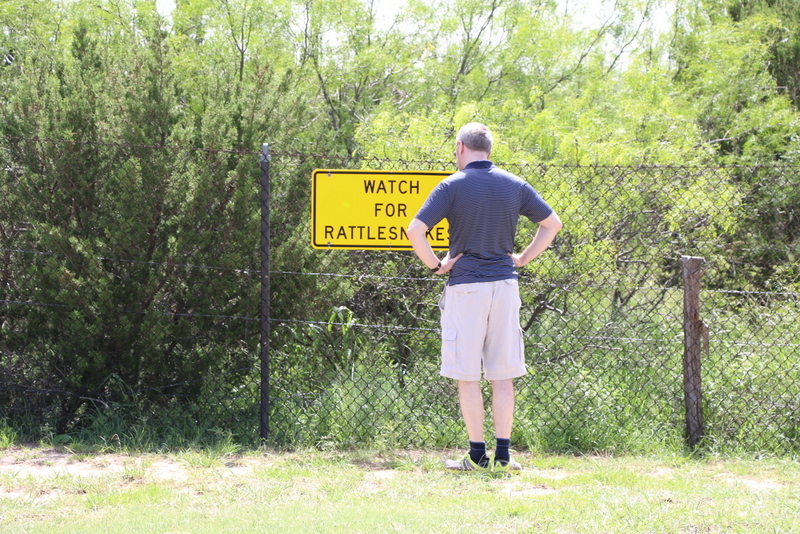 To anyone who had asked the story we’d given was that we were spending time in Dallas along with several days driving stretches of Route 66. That was indeed true, it just wasn’t the whole truth as everyone now knows. With the dogs safely in kennels, and the cats looking forward to three weeks of my dad’s attention, we were up bright and early on Friday morning. After a quick breakfast and one last double check of the house and our cases, our lift arrived i.e my dad turned up. Half an hour later we had checked in at Edinburgh airport ahead of our short flight to Heathrow. Flight down to London was quick and uneventful. Only thing worth mentioning is that in the seat in front of me was Peter Snow – he of the election ‘swingometer’. Once at Heathrow we had a three hour wait until our second flight departed. That flight wasn’t in fact to Dallas, but instead to the desert city of Las Vegas, Nevada. Trip from Heathrow to McCarron International was scheduled to last 10 hours and 15 minutes. Amazingly on board was a bunch of lads heading to the desert for a stag do. Twenty one hour round trip for a two day bender, expensive and tiring. My stag do wasn’t quite as elaborate. 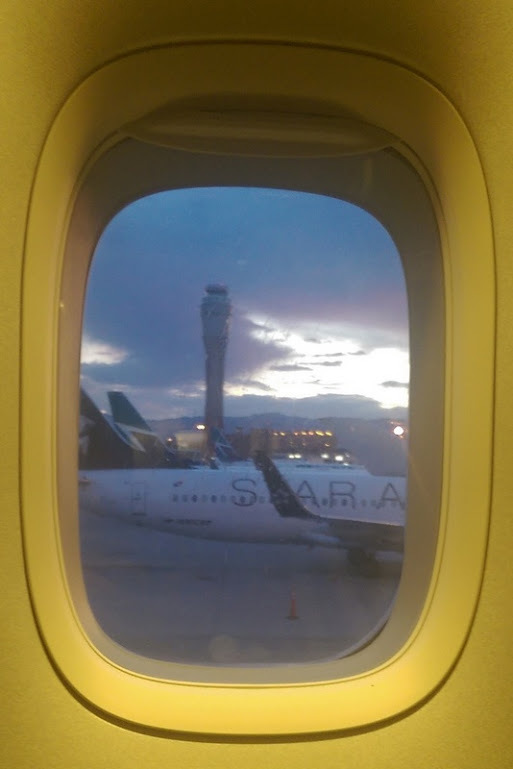 We touched down in Las Vegas at around 8pm local time, 4am back in the UK, as we were now eight hours behind home. This meant we were knackered but still had a few hours left to stay awake to begin the recovery from jet lag. Unlike our last US trip, we got through immigration without a hitch and collected our bags, which we’d last seen in Edinburgh. Next task was to find our shuttle bus to the hotel. This obviously involved going outside into the Las Vegas night. One word, wow! Leaving behind the air conditioned airport concourse the heat hit you bang in the chops. It was like someone holding a warm hair-dryer a few feet from your face. A dry heat, but a very warm heat and this was at night without the sun to add to the experience. We soon found our shuttle stop and when our carriage arrived it was only another ten minutes or so until we reached the hotel. 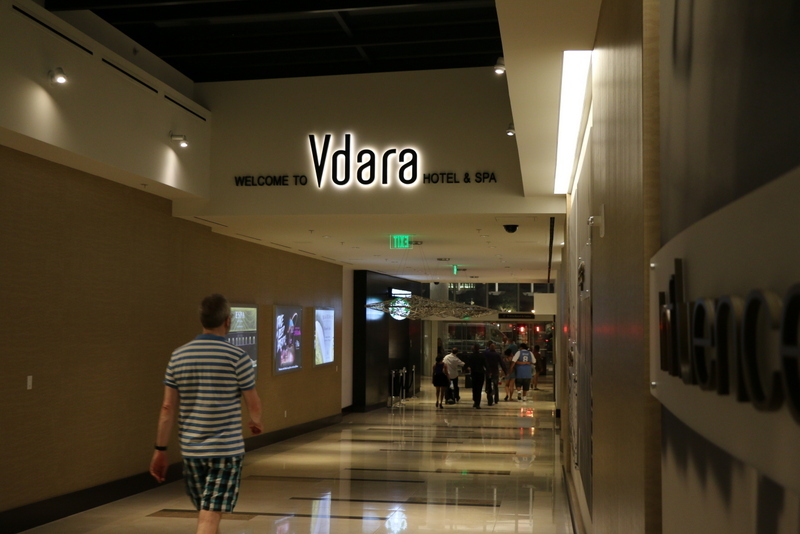 We had chosen to stay at somewhere called The Vdara. What made this hotel different to a lot of others on the Strip was a lack of casino, restaurants and shops. It was just somewhere to crash. Yes, there was a cafe, bar and a Starbucks, but that apart it was really just bedrooms. Perfect for us as it was a place to retreat to from the hustle and bustle of Las Vegas. 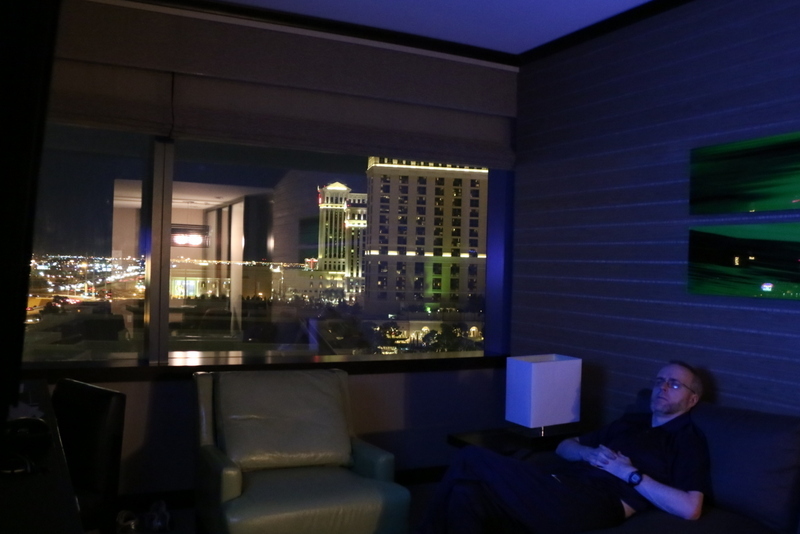 Our room was on the tenth floor and gave us a great view of the distant mountains as well as a large slice of Las Vegas. After scoffing down some food from the cafe we eventually gave into tiredness and headed for bed. After a coffee and pastry from Starbucks we set off to explore the Strip. Temperatures were pushing 110 as we had our first full-on experience of an early summer’s day in the Nevada desert. Not surprisingly it was absolutely roasting, but as I said before a very dry roasting. This meant it seemed as if you weren’t sweating as any sweat just evaporated as soon as it formed. When you went into an AC (air conditioned) building you felt sweaty for a few minutes as the built up moisture didn’t evaporate, instead it poured down your forehead and back. Nice! Guess what they sell here! From our hotel we turned down the Strip towards the MGM Grand. 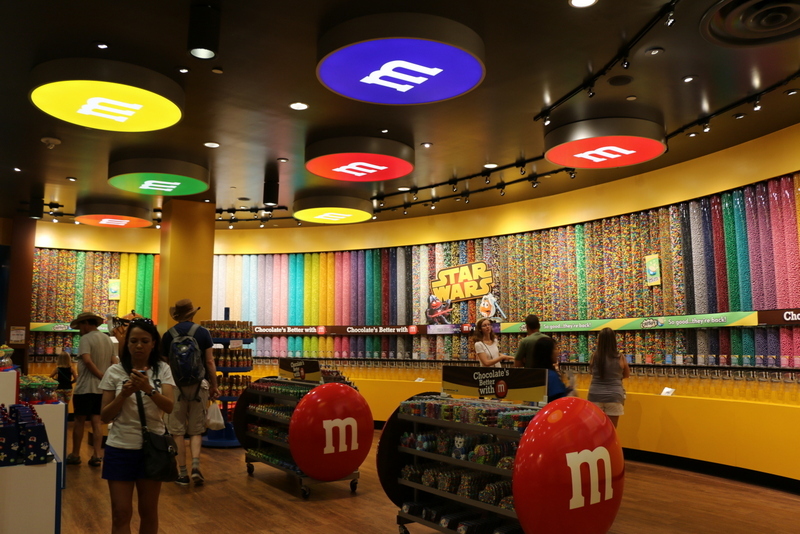 On the way we had a root around a shop dedicated to the humble M&M. However, this wasn’t just any old shop, it had four floors filled with everything you could possible think of crafted in homage to a chocolate sweet. Needless to say we bought a bag, and to be fair they did a good job of not melting. The first casino we had a close look at was New York, New York, just across from the MGM. In here we stopped for a moment to catch up on the Scotland game against Ireland which was showing at a sports bar. Final score was 1-1, decent result for the Jocks. There was a nice looking Irish pub which we didn’t go in this time, but did later. A walk back up the Strip and we eventually found ourselves at Planet Hollywood. What I mean by Planet Hollywood is the front part of the hotel which was taken up by a shopping mall called The Miracle Mile. Not exactly sure where guests checked in, perhaps there was another way into the hotel. This was one of our favourite malls because it had what we would deem as normal shops i.e places with clearance racks and 2-for-1 instead of another intimidating Louis Vuitton where the staff almost always outnumbered the customers. After Deena was nabbed by someone trying to sell her beauty products we eventually came across a place called Vegas Cheeseburgers. It was really just a themed pub/restaurant, very casual with telly’s showing baseball and the likes. A couple of beers and a full belly of food later we finished our wander through the Miracle Mile and headed back to the Vdara. After breakfast and a relaxing hour or so in the hotel we set out into the sun. This time we had a definite destination and plan for the day. Sunday was the day our wedding moved one step closer. Back home we’d already applied for a marriage licence, today we had to go and collect and pay for it. Once that was done we had an appointment with Vegas Weddings! Best way to get up and down the Strip was by bus. Therefore we each bought a three day pass for $15. 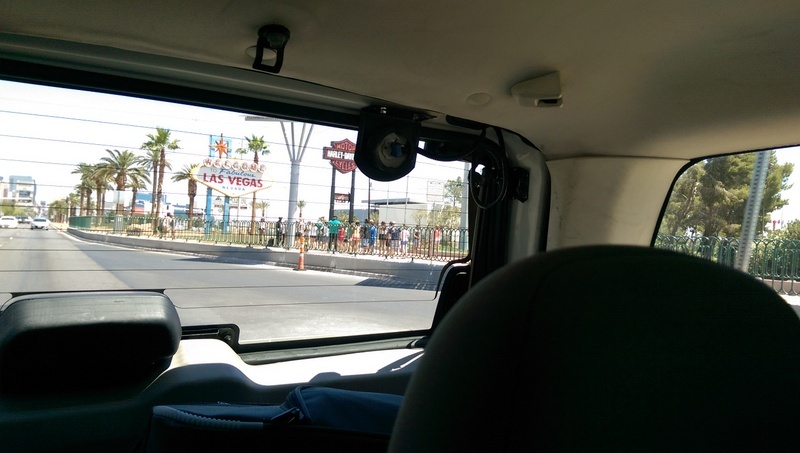 For that we could go on the main Vegas buses (Deuce, SDX) as often as we liked for three days, which was a good deal. Today would be the first of three times we used our pass to make the 25 minute trip up to the Bonneville Transit Centre. From the Transit Centre (bus station) everything we needed was a five minute walk away. 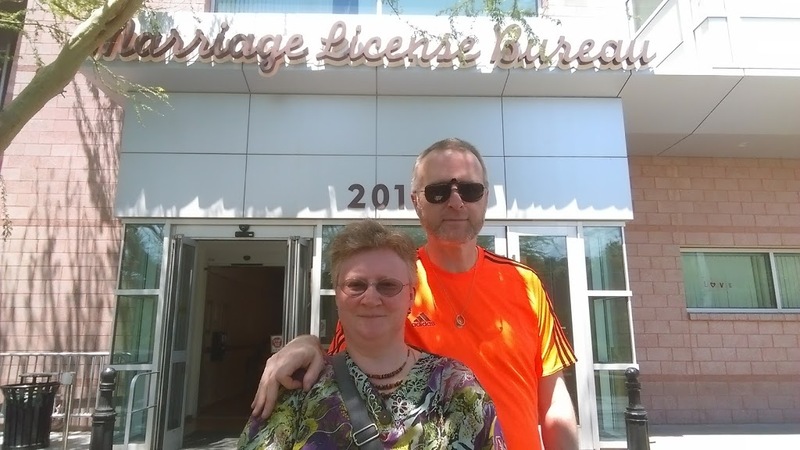 Our first port of call this particular afternoon was the Marriage Licence Bureau on East Clark Avenue. Have to say the Marriage Licence office looked more like somewhere people were registering deaths – it was a bit dowdy and run down. However, it was quick and within 15 minutes we were in and out. 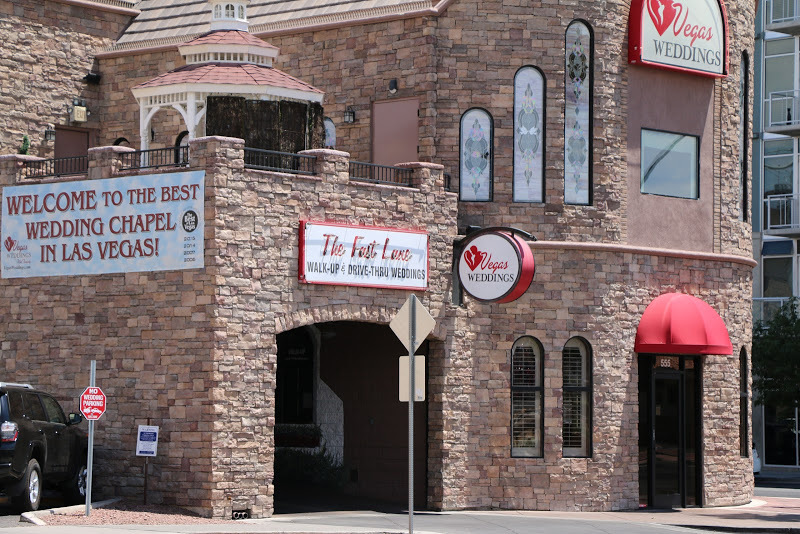 Next port of call was Vegas Weddings, a couple of hundred yards down the street. We were about an hour early for our appointment, but there was no way we were going to walk round the block in temperatures of 113. Therefore we made for the sanctuary of Vegas Weddings and their air con. As it happens they were happy for us to wait, and if possible, see someone earlier than planned. After about half an hour we got seen and all our outstanding paperwork was completed. This involved us giving them the marriage licence, signing a few documents and paying whatever money was due. If you’re interested we were having the Drive-Thru Faster wedding package. Vegas Weddings looked a nice place, fresh, bright and overall a good venue to get married. Definitely felt more up market than the kind of place some people may think folk go to get married in Las Vegas i.e. a mouldy Elvis manning reception. After sorting out the final details of the wedding we headed back to the Strip. A second meal in Vegas Cheeseburger was followed by a walk back to the hotel to chill. Our last night as two single people. To be honest, I can’t remember if we had breakfast or not. I don’t think we did, the ceremony was set for 10:15 and there wasn’t much time to spare. Once washed and dressed (both in white of course) we headed down to the hotel lobby to catch a taxi. Journey to Vegas Weddings in local traffic was an unknown factor so we left plenty of wiggle room. Therefore as with our trip up the day before we were early – not as early as Sunday, but still early none the less. However, like before it wasn’t a problem. Our flowers were removed from their cold storage and while mine was pinned on, Deena held onto hers. After about 15 minutes (this was still well before 10:15) a woman we hadn’t met before said hello and asked us if we’d selected the location. We hadn’t and in truth it wasn’t something which had been mentioned until now. Think I thought there was just a standard location and choice wasn’t involved, but it was. We therefore set off on a quick tour of the venue. As it turned out we could get married outside in the sun in front of a “Welcome to Las Vegas” sign, in the reception of the venue next to an “infinity fountain” or in the drive-thru tunnel. Luckily for us there was a fourth option which was only available because we were early – a proper wedding room. There was a wedding set for around the same time as ours in this room, but we were early so got in there ahead of the next party. We actually thought we were just being shown this room as part of the tour but before you knew it the ceremony was about to begin. The woman we assumed to be one of the wedding planners was actually the minister. Around five minutes later it was done. Rings and vows exchanged and Deena Catherine Clements was now my wife. Some would say about time too after being together for over 13 years. After the wedding we chilled for a few minutes while another wedding came and went. It was then that the photographer turned up. Over the course of the next 15 minutes, and multiple locations, between 40-50 pictures were taken of the happy couple. Once this was done we said our goodbyes to Vegas Weddings. But fear not, we would be back again the next day to get our official marriage certificate and pick out the photographs we wanted to buy. Our flowers, after a full day walking around Las Vegas, in 43 degrees C, attached to my hat and Paul’s rucksack! On leaving Vegas Weddings it was a short stroll back to the Transit Centre. I quickly changed from my black jeans into shorts before we got on the bus to the Strip. It had been a busy and momentous morning but the fact was it was still barely 11am i.e. plenty of the day ahead. 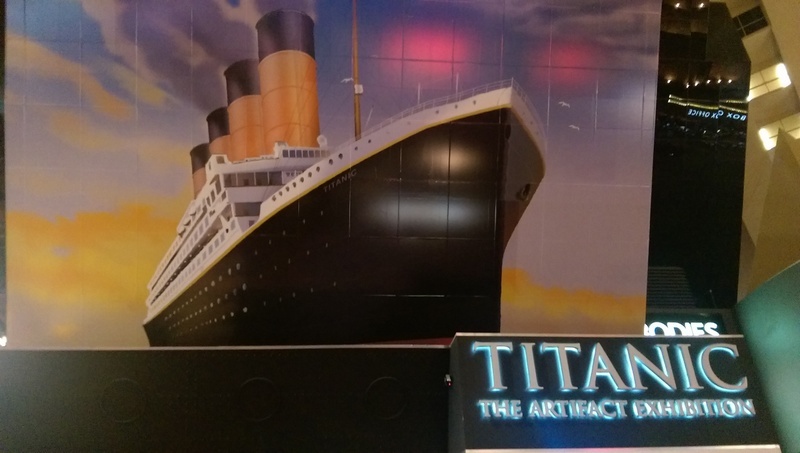 What we decided to do was visit the Titanic exhibition at the Luxor hotel. Wasn’t a huge exhibition but what there was took a good hour or so to wander around. Star of the show was “The Big Piece” which was as the name suggests, err, a big piece of the side of the ship. Titanic – No sight or sound of Jack and Rose! After Titanic we made for New York, New York and decided to have lunch at the Nine Irishman pub. Two drinks were enjoyed at the bar (which included the picture we put on Facebook to break the news) before we went inside for a meal – and delicious it was too. A few hours later we ended up back at the hotel. Perhaps not the wedding day many people would want but it was what we wanted. I’m sure everybody we know will understand and accept that. 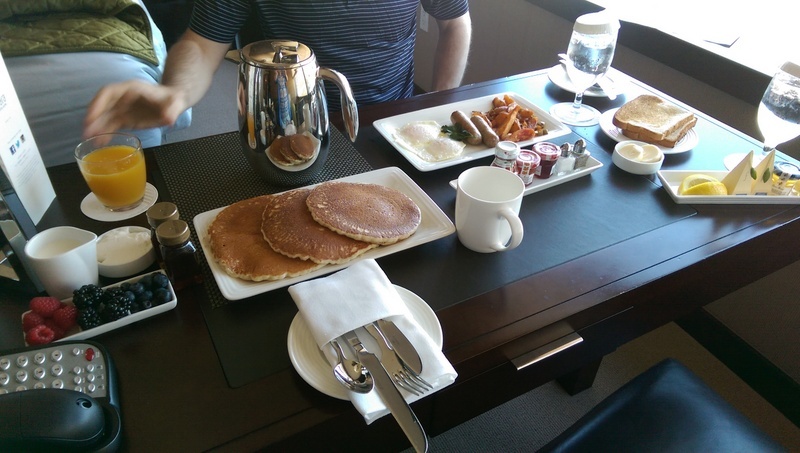 We thought we’d start our first full day as a married couple in style, so room service it had to be. Deena had pancakes while I went for the more traditional bacon and eggs. All very nice and put us in good spirits for our third and last trundle up the Strip to the Bonneville Transit Centre, and Vegas Weddings. The aim of today’s trip was to collect our official marriage certificate, and to pick out our one free photograph. First stop was the Vegas Weddings’ main building we had been to on the previous two days. Here we picked up our marriage certificate. It was then outside, back into the scorching heat and a short walk to their other property which is where they show the photographs. It was only three doors up so only took a couple of minutes to get there. There was around 50 pictures in total and we were entitled to one free as part of the package. However, in the end we selected three. There were others which we liked but we settled on the three we liked best. Within an hour we were done with the photos and done with Vegas Weddings. Think what our experience shows is that if you want to do something with at least a modicum of classiness it can’t be done in five minutes. 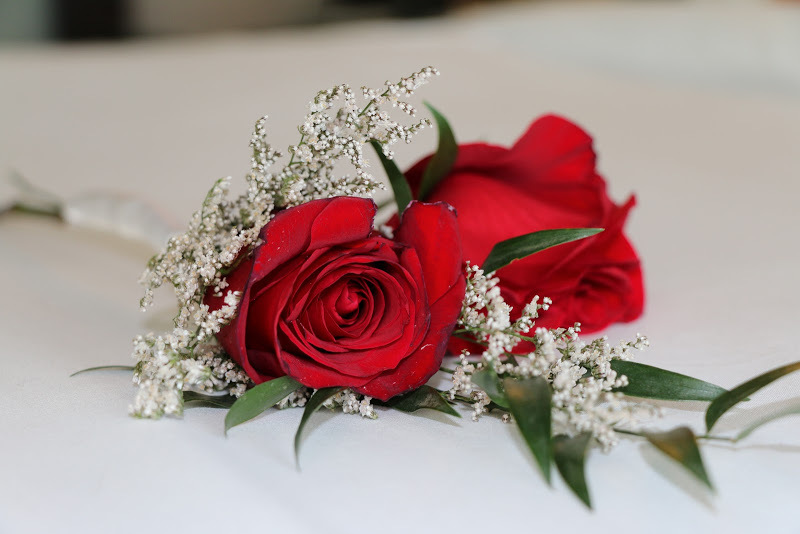 So while it was to most people a “quickie” wedding, even that required advance planning and slices out of three days of our time in Las Vegas. It was worth it though, as we both thought it went well and the photos looked great. A quick walk past the location for “Pawn Stars” before we boarded the bus back to the Strip. 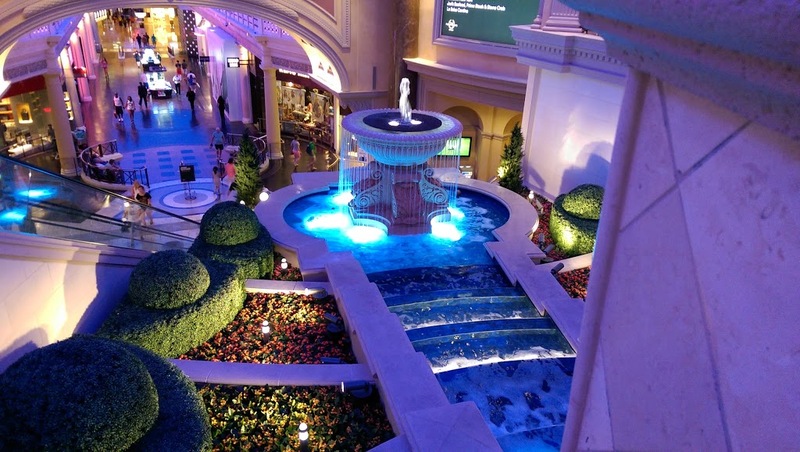 Our mall of the day was one inside The Venetian. 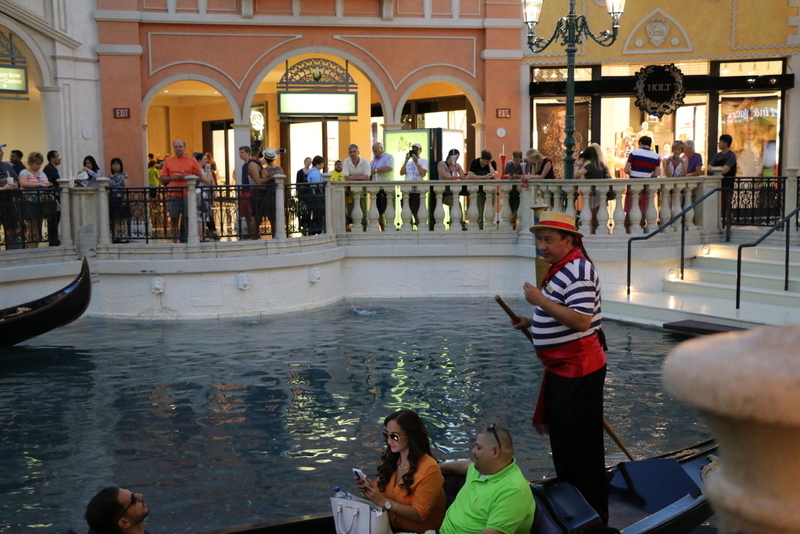 Being Las Vegas there was indeed gondoliers in full regalia singing while they ferried punters through various waterways inside the mall. 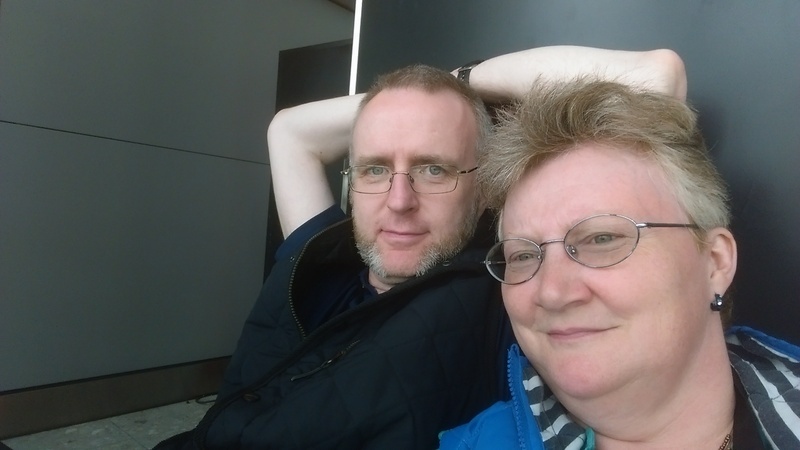 We had our main meal of the day at an Asian Noodle restaurant where I successfully completed both courses with chopsticks – Mrs Clements whimped out and stuck to her knife and fork. Something was missing from our schedule today, oh yes, a trip up to the Bonneville Transit Centre! Instead we stayed fairly close to the Vdara and wandered through Bellagio to Caesar’s Palace. To explain. The Vdara and Bellagio were connected by a walkway from one hotel to the other. You did need to go outside, but only briefly, and under a roof. 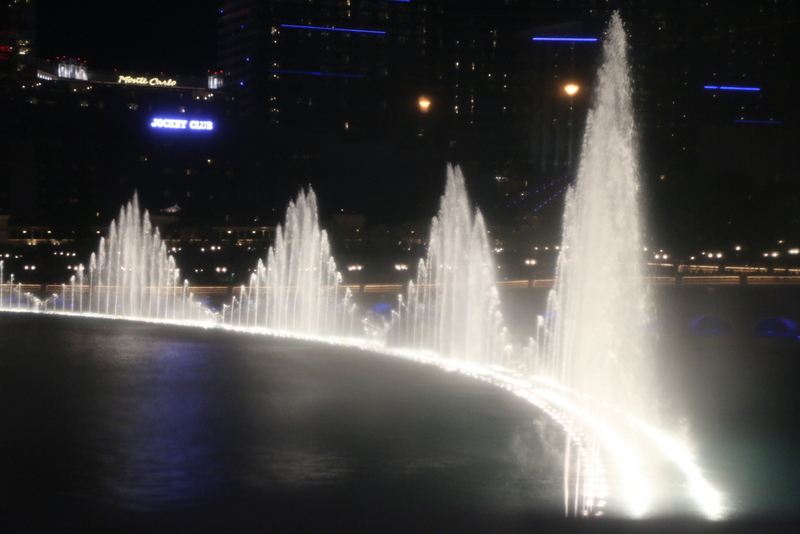 The Bellagio is the hotel with the famous fountains which do a show similar to the one we saw in Dubai last year. Caesar’s Palace was the next hotel up from Bellagio and is where many big boxing matches take place – not sure where, but I think there was an auditorium somewhere in amongst the labyrinth of gaming tables and restaurants. Spent most of the afternoon at the Palace. Shops were ok, bit more up market than Planet Hollywood but at least had some which weren’t the empty, high end retailers with no prices on the displays. 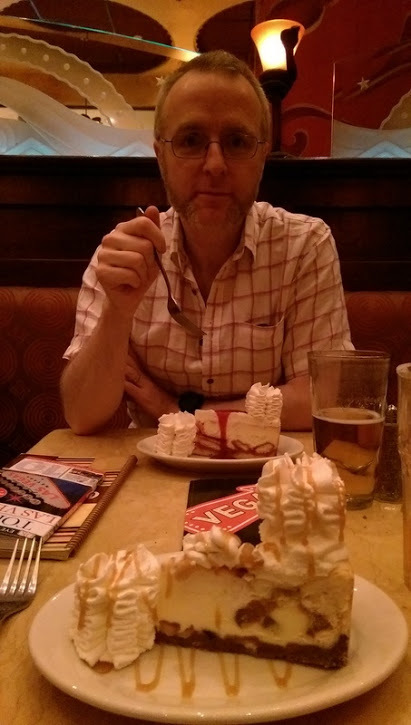 Before going to Las Vegas I’d noticed somewhere called “The Cheesecake Factory”. In my naivety I thought this was a factory which made cheesecakes. Sounded like a good place to visit. As it happens it is of course a restaurant which specialises in cheesecakes. It is also famous for a menu which has more pages than you almost have time to read. I ended up choosing something Mexican while Deena had a burger. We both then had cheesecake. On leaving we were absolutely stuffed. After another stroll through the shops, our cheesecake stretched bellies headed back to the Vdara. On the way we took a trip up the Las Vegas version of the Eiffel Tower. 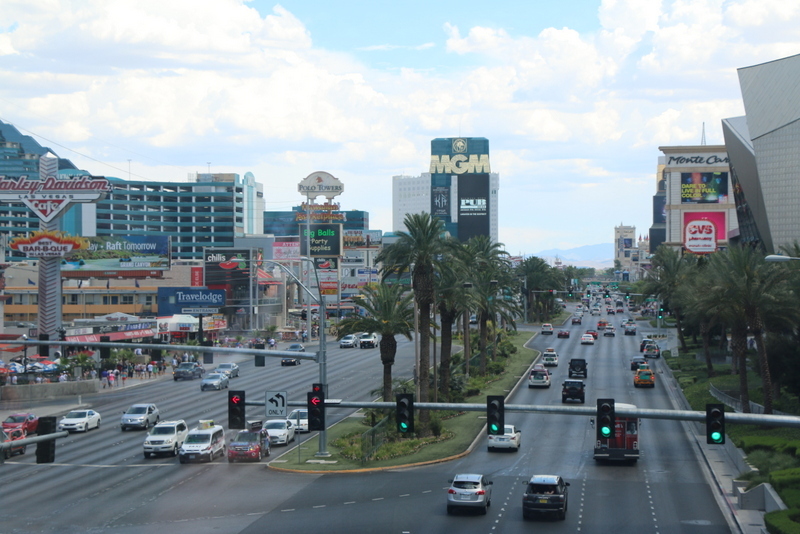 Great views up and down the Strip as well as the surrounding desert and mountains. This was our last full day in Vegas and we decided to spend it with a spot of retail therapy. Yes, we’d been in shops several times, but on this occasion we headed for a place we might actually buy something. In Vegas there are two main outlet villages, Premium Outlets North and Premium Outlets South. The North is more Louis Vuitton and Prada, whereas South was Nike and Tommy Hilfiger. So South it was. A 15 minute trip on the “SDX” (express bus) soon had us on site. One of the first things we did was get some breakfast i.e. a couple of coffees and some pastry. At first I thought I’d made a mess of the order as it was half what we had been paying in the hotel’s Starbucks. But no, I hadn’t mucked up, it really was half the price. Moral of that story is the undoubted fact that the Strip charges more than anywhere else in town. As it happened the coffee and pastry were probably the best we had all week. After coffee we did a couple of laps of the mall. I ended up with a few things, while Deena not so much. That’s usually the way it happens: Deena looks at a lot and buys little, I look at a little and buy most of it. 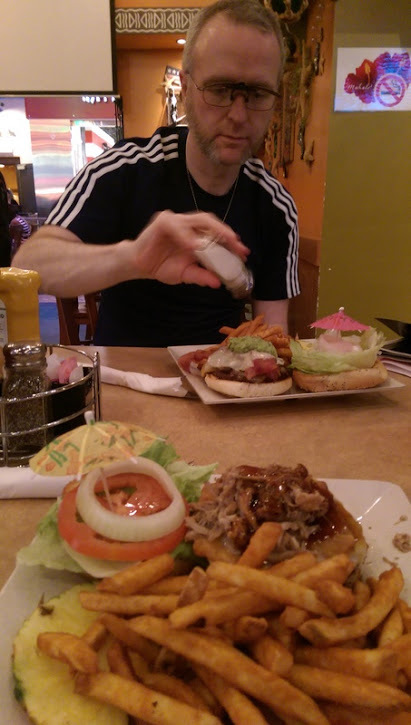 Our main meal of the day was back on the Strip at our favourite Irish Pub in New York, New York. After that it was time to pack. With the cases zipped up we headed out for one last walk amongst the lights and sights of the Vegas strip, and yes, it was still blooming roasting even with the time nearing ten. Checked out using the TV, as you do. Meant when we left all we had to do was drop the room card at reception. They had our credit card details so they simply deduct what you owe when you leave. Simple and quick. A taxi was then hailed and off we headed to pick up our rental car for our five day road trip. Details of that in the second installment of “Hot Stuff in The States”. This entry was posted in Holidays, Real World and tagged Desert, Las Vegas, Scorching, Strip, Summer Holiday, USA, Vdara, Wedding on July 18, 2015 by paulmclem. “It’s a beaut ain’t she?” said Matt Honeyball to his ever doting wife Mirabelle. Matt and Mirabelle had seen it all. 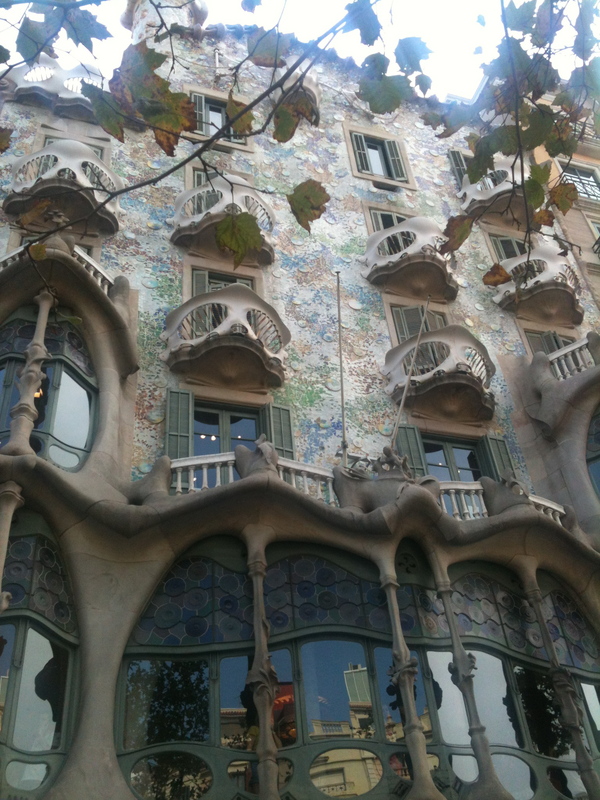 The Pyramids, the Coliseum and now a Gaudi masterpiece. As the smell of grilling burgers and French fries wafted across their nostrils it was time to go. Yes siree. Las Vegas was a hell of a city. This is my entry in this week’s 100 word writing challenge over at Friday Fictioneers. 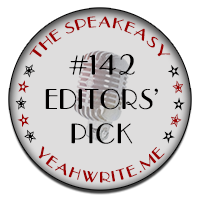 This entry was posted in Friday Fictioneers, Story Time and tagged 100 Words, Creative, Fantasy World, Fiction, Flash Fiction, Friday Fictioneers, Honeyball, Las Vegas, Novels, Short Stories, WordPress on May 1, 2013 by paulmclem.